CRISTEN CONGER is a former senior staff writer and host for HowStuffWorks.com and co-creator of the hit podcast Stuff Mom Never Told You. She is a contributing writer for Refinery29, and her writing has appeared on Jezebel, Huffington Post Women, MSNBC, and ABC News. CAROLINE ERVIN is a podcast host and former editor at HowStuffWorks.com. She has a journalism background and researches and speaks on issues of sexuality, health, history, and pop culture--all through the lens of feminism and gender. Their new podcast, Unladylike, launch in Janaury 2018 as part of Midroll Media's Earwolf network. "Gritty, wildly informative, and informed: a must-have feminist survival guide for the Trump era." "Unladylike is super smart, engaging, challenging, wildly necessary, and also really fun to look at. Can I please buy a million copies and spend my days traveling the country, handing them out to everyone I meet, on an epic patriarchy-smashing road trip? Anyone wanna join me?" "I cannot think of a friendlier or more delightful primer on women's history, gender, and body awareness, and—of course—patriarchy-smashing than Unladylike." 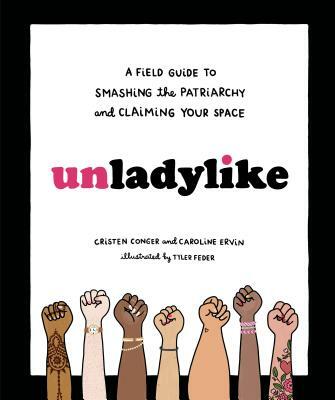 "Unladylike puts into words so much about gender, power, and the patriarchy that I knew but could never really articulate, and taught me things I had never considered. It's a great book for anyone who wants to learn to navigate and fight against oppressive structures in an unladylike way--whether they identify as a lady or not."